Yesterday (08), Sophia attends the 2019 National Board Of Review Gala at Cipriani 42nd Street in New York City. Check out the photos below!! Yesterday, Sophia stunned as she attended the premiere of Incredibles 2 in Los Angeles. She stars as Voyd and the film premieres on June 15. Check out the photos below. 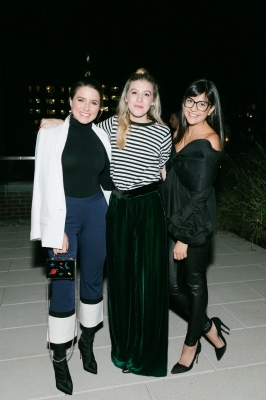 Sophia attended the La Ligne X Cuyana Collaboration Celebration last Wednesday in NYC. Sophia attended the Together Live Event in Nashville last Tuesday with friend Ruthie Lindsey. Sophia attended the 8th Annual Veuve Clicquot Polo Classic yesterday in Los Angeles. Added many more photos of Sophia at the amfAR Gala in Los Angeles last Friday! Be sure to check them out! Sophia attended the amfAR Gala in Los Angeles yesterday, October 13th. Sophia attended the Waldorf Astoria Live Unforgettable Campaign in Chicago on October 12. Sophia supported good friend Debra Messing while she received a star on the Walk of Fame in Hollywood. Also Mariska Hargitay and Connie Britton where there to support Debra.